This is a tender, flaky, melt-in-your-mouth pie crust that is made with just 4 ingredients. 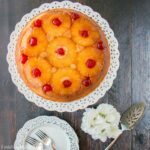 It is unbelievably easy to make and works well with both sweet and savory fillings. I was given this recipe by my friend Mary. It was her grandmother’s recipe and she told me it was very unique in that it uses oil instead of butter or shortening, yet it is the flakiest pie crust ever. She also told me that the key to this recipe is to sift the flour twice: the fluffier the flour, the flakier the pie crust. I wasn’t sure what to expect the first time I made it, but let me tell you, as soon as I cut into the crust, I knew it was a winner. You could feel how crispy and flaky it was. You can also see layers upon layers of thin delicate pastry when you lift that first slice. This crust is so tender that it just melts in your mouth when you eat it. All you need for this recipe is all-purpose flour, salt, vegetable oil and milk. You can use any kind of milk you have on hand. I have made this pie crust with homo, 1%, and even rice milk and they all work. There is no chilling required, and you don’t need a food processor or pastry cutter to make the dough. You start with sifting the flour twice. Then you whisk in the salt and create a little well in the flour mixture. Pour in the oil, then milk, and stir everything together with a rubber or wooden spatula. Once the dough starts to come together, finish working it by gently kneading it all together on a sheet of wax paper. Divide the dough into two parts, one slightly larger than the other if you are making a pie with a top crust. Divide the dough into two equal parts if you are making two open face pies. Roll the dough in between 2 sheets of wax paper. The base crust should be about 2 inches in diameter larger than your pie plate. I have a 9-inch pie plate, so I rolled my base crust to about 11 inches in diameter. Remove the top sheet of wax paper. Then use the bottom sheet to lift the dough and flip it onto your pie plate. Roll the top crust to about 1 inch larger in diameter than your pie plate and place it on top. Trim the excess crust and press the edges together. Cut a few slits and your beautiful pie is ready to bake! Bake at 425F for 15 minutes, then 375F until the crust is golden and the filling is cooked. Depending on the filling, it usually takes about 30-45 minutes at 375F. 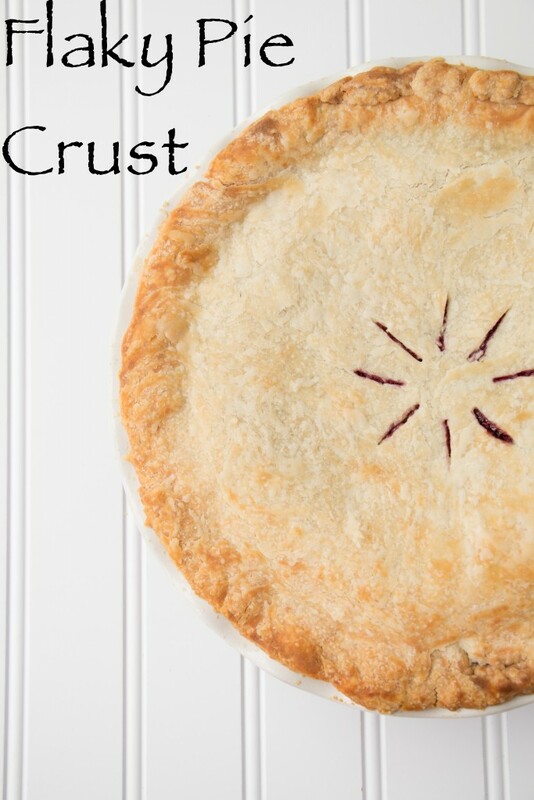 Aug 4th/16 – I’ve recently been receiving a lot of questions about this recipe, so I have updated this post to include my Homemade Blueberry Pie video where I demonstrate how to make this pie crust. Pour in the oil, then milk and stir everything together. If the dough seems too dry, add 1-2 tbsp of milk. Divide into two parts. Roll the dough out in between 2 sheets of wax paper. Remove the top sheet of wax paper. Use the bottom sheet to lift and flip the dough onto the pie plate and on top of the filling. Trim and seal edges. Cut some slits for ventilation. Bake in a preheated oven at 425F for 15 minutes, then bake at 375F until the crust is golden and filling is cooked. Usually about another 30-45 minutes. You might also like my Easy Apple Pie, Pumpkin Pie with Salted Caramel Whipped Cream, and Chocolate Pecan Pie. 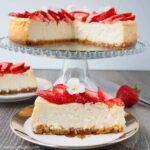 Click here to see all pies and tart recipes.